The Richmond Loop offers a variety of habitats, supporting a diversity of wildlife, just a short commute from Virginia’s capitol. 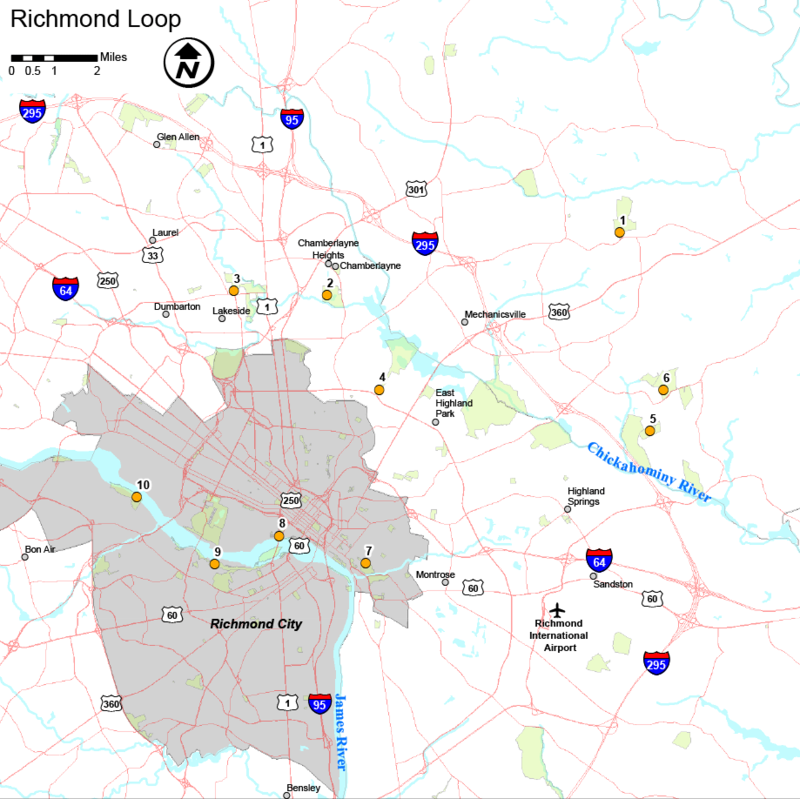 The loop begins northeast of Richmond in the typical eastern arboreal forests of Pole Green Park, proceeding to the wetland areas along Upham Brook at Three Lakes Park, to Vawter Street Park’s riparian woodlands along the Chickahominy River. The Lewis Ginter Botanical Garden is a wonderful stop for the inquisitive naturalist, in particular the native gardens which educate visitors on the natural flora and fauna of Virginia. Two battlefields, as well as the adjacent Chimborazo City Park, are situated on bluffs, pertinent to the function of forts that once stood on the grounds. From these hillsides, enjoy expansive views of the city and hike the downward trails into remote woodland for an afternoon of naturalizing. All three of the James River Park’s sites are situated just south of the heart of downtown, but the wildlife doesn’t seem to be bothered by the metropolitan surroundings.